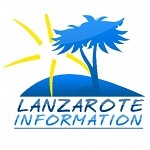 Welcome to Lanzarote Information’s villas and apartments rental section! The villas and apartments on these pages are available for rental direct from the owners. If you want to get straight to the properties, just scroll down the page! You can sort through all the properties, using the buttons just above the first images. If you’re looking for a particular property by name or community, you can search for it using the search icon at the top, near the menu. If you want to do a search for a type of property or for one in a particular area, use the search box above. Once you find a property you like the look of, complete the enquiry form (there is one for each property) and your questions will go direct to the owner, who will respond to you via email or phone. You can then make all the arrangements for your villas and apartments holidays direct with them either by telephone or email. Ideally arrange to pay by debit or credit card or Paypal – you have some protection in the unlikely event anything goes wrong. We don’t recommend using cash. Don’t forget to arrange some travel insurance in case the worst happens! Villa 483 features fabulous outdoor areas, a private, heated pool, a luxury hot tub and even sea views. Fabulous holiday let in Playa Blanca. Villa 482 is a beautiful 3 bedroom, 3 bathroom villa in the Faro Park area of Playa Blanca. Top quality fittings, and very well looked after. Villa 303 is 2 bedroom villa in Costa Papagayo, Playa Blanca with hot tub and splash pool. Fully equipped to be a real home from home. What's The Weather Like In June In Lanzarote?